You’ve probably heard about the 20-20-20 concept to managing hygiene appointment time. 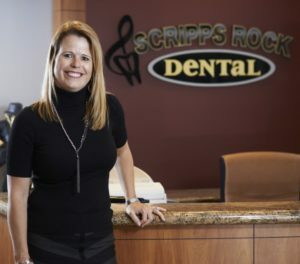 As we’ve taught this over the past dozen years of coaching and training dental teams one thing we’ve learned is this…When recare appointment time drops much below 60minutes, crucial tasks are often left out. The interesting thing is that when these diagnostic tasks aren’t regularly completed, it actually makes it harder to stay on time and hurts the amount of perio and restorative enrolled in hygiene. Here’s a short video that I hope will give you some insight on how to keep your hygiene service mix healthy and give you some ideas for hygiene scheduling. 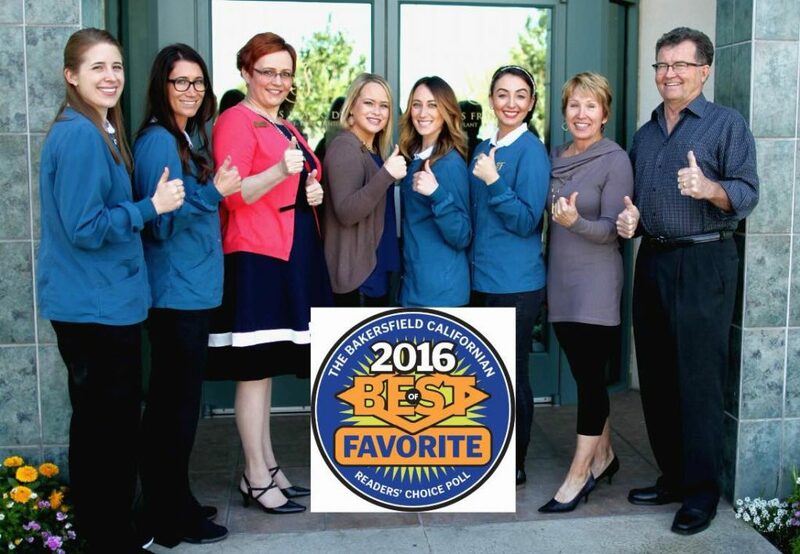 I’m so excited to introduce you to the dynamic team at Dr. Thomas Frank’s office who have been named Best Dentist in Bakersfield for the 8th year in a row! Wow, what an honor! Please join all of us at Inspired Hygiene as we congratulate this hard working team for their dedication to excellent patient care. Here’s what Dr. Frank had to say in a recent interview. “Teaming up with Inspired Hygiene three years ago has been a game changer and great investment for our practice. After years of building our reputation in Bakersfield on preventative and aesthetic dentistry, we also provide clear communication on what is needed to achieve optimal periodontal health. This honest informed approach is better for our patients and they know it. They sense our sincerity as we consistently refer to the importance of the oral-systemic connection. 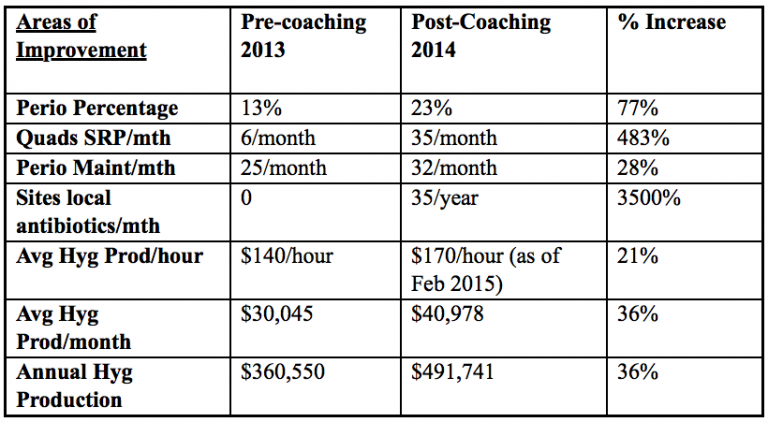 And just look at their pre and post coaching stats… these are a direct reflection of excellent care. This year, they’ve done even better with their perio percentage holding strong at 32% and monthly hygiene production consistently greater than $40k every month. We’d love to help you and your hygiene department achieve great things too. Contact us at info@inspiredhygiene.com to set up a complementary Discovery Session today. Picture this… it’s Monday morning, the phone is ringing off the hook and you just had three cancellations, two for the Hygienist and one for the Doctor. Ugh! Your priority for this morning just became schedule recovery. Never mind that you had other important things to do, you are NOW picking up the phone and frantically trying to fill the holes in the schedule! Why oh why can’t patients just make an appointment and keep it? If you can relate to this scenario, then this months Special Topic Mastermind Webinar is for you. 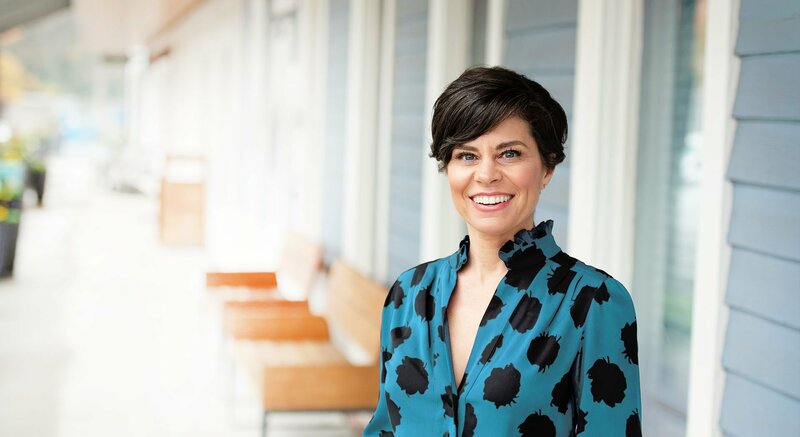 Join Laura Hatch, Office Manager & Owner of Front Office Rocks and myself as we discuss strategies and systems to close the gate and reduce last minute cancels and no-shows. If you are not a Mastermind Member, but would like to join us, click here for more information. 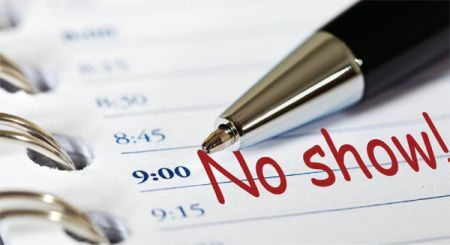 Learn what you can do to lower cancellations and last minute no- shows. During this webinar Laura will review six essential steps, that when practiced on a daily basis, will help you lower your last minute cancellations and no-shows. This call will be available in our Mastermind Library on Thursday, May 19. If you’re not already a member of our Mastermind group, click here to sign up. We all have patients that don’t want to take responsibility for their own disease. Right? It is like “pulling teeth” to get some patients to be more compliant with simple requests like updating their health history or understanding the importance of regular hygiene visits. So how can we expect some of these same patients to move forward with the recommended perio therapy or restorative needs? Watch this video to learn some simple but effective ways to connect the dots with updating the patient health history. You’ll have improved patient compliance which leads to improved treatment outcomes and patient health!